The legalization of cannabis has sprouted community information sessions, and they’ve been awesome. 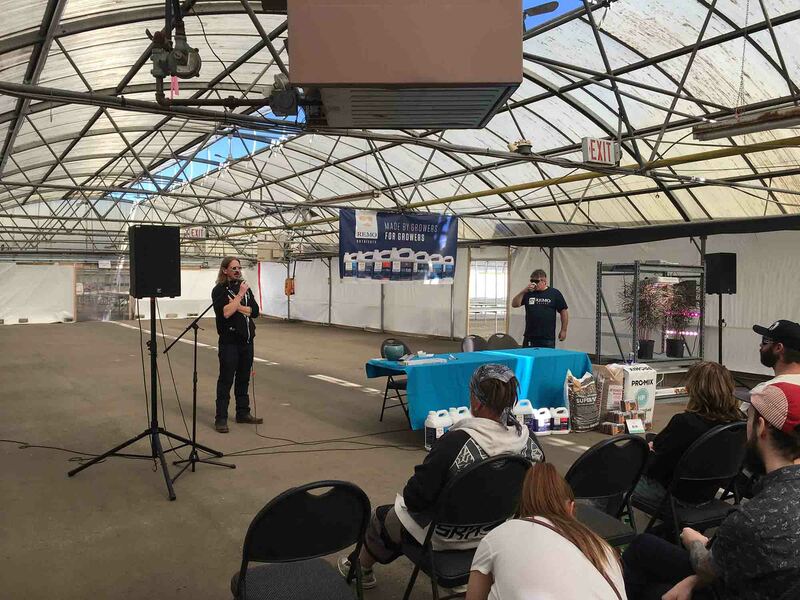 A few months back, Golden Acres off McKnight Boulevard in Calgary hosted a seminar for us cannabis enthusiasts. Extract magazine attended, and we received valuable growing tips from experienced industry leaders providing the community with their insights. The event was 18 and over and completely free running from 11:00 am until 3:00 pm, with 3 speakers followed with a question period. The crowd was excited, many prizes were won, and complimentary snacks and beverages made this a wonderful experience. Chris Jagielko – an expert grower under ACMPR licensing, has perfected his techniques for growing healthy plants and is currently the team lead at Sundial Cannabis Inc.
Tracy Grills – a lighting distributor (Eco Lighting Solutions) based here in Calgary, bringing us the best lighting technology from across the world. Tracy transitioned into the Cannabis industry upon legalization as the new industry paved way for new clients. Finally, Cannabis Legend and founder of Remo Nutrients, Remo Colasantis privileged us with his experience in nutrients, giving us what’s important to help your plants thrive. Starting out with the importance of pH Chris stressed to add nutrients first than pH your water, keeping in mind that nutrient absorption is directly related to pH levels. Some effective ways to alter pH is by using lemon juice or phosphoric acid but be warned phosphoric acid can be dangerous. Chris informed us the pH of tap water will be different across the city from North to South, and it’s a factor that you need to keep a close eye one. pH is controlled through feeding your plant and is easier to maintain in a hydro setup than soil. Mixing the proper nutrient ratios can determine and even influence change your plant between female and male. If you do end up with a hermaphroditic plant, you will notice that it will affect the terpene profile of your end product. A key component of a lights output, and a direct measurement is par lumens, which we were told is “photosynthetic radiation”. To give us an example Chris mentioned that an incandescent bulb has 38 par lumens with only partial absorption. Another spectrum of light is UV, good with helping the plant produce more trichomes. The Capitate are the THC producing trichomes. The capitate trichome colour is used to judge the harvest time, at 10% amber is usually the prime time, going longer will eventually produce greater amounts of CBN, the cannabinoid known for it’s sedative properties. This lightening specialist serving Calgary and area guided through the great lighting emporium, commenting that “Vegetation is vegetation and there’s tweaks for different types”. Introducing lumens to the crowd, Tracy gave us a breakdown on lighting giving us a range of production based on watts used. For lighting you usually want 40-50 watt’s/ sq. ft of tent, but with supplemental light you will require less of course due to natural lighting. With each Watt of power, the plant can yield 1-2.2 grams usually. LED – LED lights tend to release up to 160 lumens. Sand blaster LED lights are a great addition to enhance the quality of crop. LED lights can work well through all phases of growth. Fluorescent lighting – is good for starter stages, specifically the cloning phase. HPS – create a yellowish light used for flowering efficiently, this light will offer greatest photosynthesis production, most suitable for flowering phase. HPS lights release decent amounts of heat. Metal Halides – which are usually identified with having a bluish look, and dim as time passes. Light is a necessity for the plants to conduct photosynthesis and draw nutrients from the soil. Each time your lights change every other aspect of growing needs to be reconfigured, that includes temperature, humidity, and nutrients. A good example of this, is as HPS lights run they produce more heat and this change needs to be accounted for your tent to stay at optimal temperatures. The useable number of photons for a growing plant are 200 -400 micro moles, this will begin growing and 800 micro moles for high vegetation. There is a limit and hitting Micro Moles of 1500 can put your plants at risk of getting burned, however positioning the plant 3’ from the light will adjust for the higher output. So, what’s the most important thing when purchasing lights. Tracy told us it comes down to the electronic chip inside. Top quality is primary “Pay for quality once or pay quality over and over” and a proper lighting setup along with electrical is extremely important, insurance companies have become strict and usually will “deny your insurance when they can”. 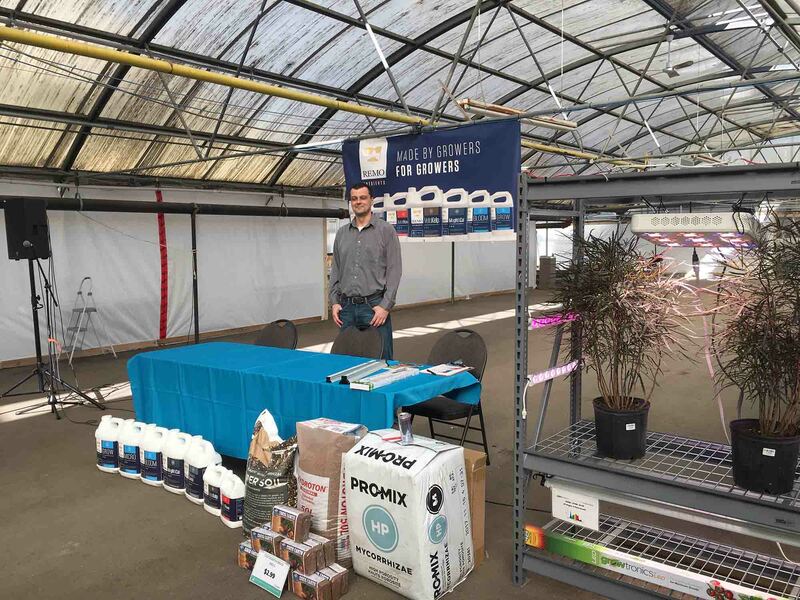 Remo finished off the show, this man is an nutrient expert based out of Maple Ridge, British Columbia, focusing on helping customers keep their crops healthy. Remo has a unique vision, keeping a healthy sustainable grow while keeping recycling a priority. 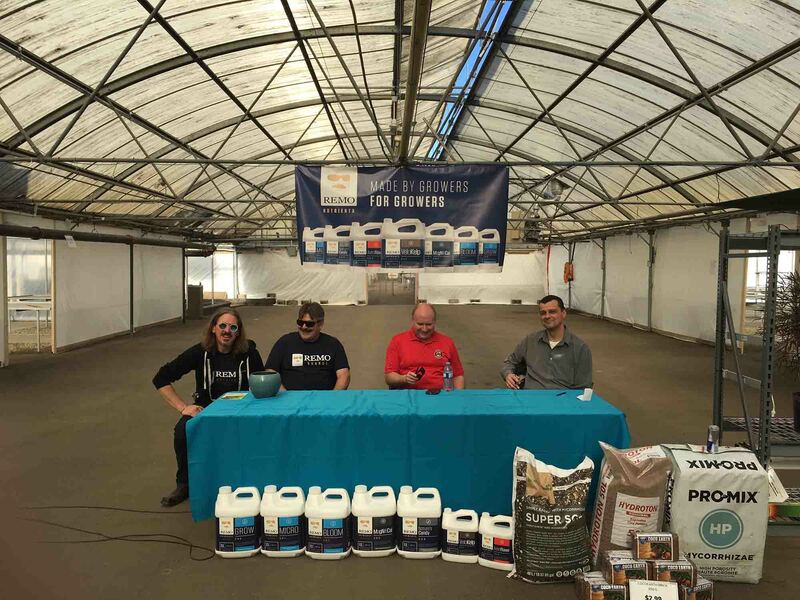 He has been in the nutrient business for many years and we got the opportunity to learn more about our pants and a breakdown on nutrition and soil. Humidity levels were the topic of discussion. Seedlings require higher levels of humidity (6) while moving into vegetative stage this should be lowered in small increments Approaching flowering, we can lower the humidity to in and around 4.5 – 5. Remo touched on new products hitting the cannabis grow tech market. “A new era brings new methods of feeding your plants, the autopod system uses a float valve which allows the plant to decide its nutrient intake”. This is a great setup because we’re not switching the atmosphere in any context, reducing the chance of stressing our plant and allowing it to adsorb what it naturally requires. In addition to new technologies such as the autopod system, Remo stressed that a good control of amino acids is key as this also helps with mineral uptake. Blackstrap molasses is a fantastic way to enhance control of your cannabis plants amino acid levels during flowing phases, although it might require attention when cleaning a hydroponic system. Adding blackstrap molasses to your cannabis grow will not only help control amino acids, but also enhance the terpene profile adding a nice taste and aroma to the end product.